In contrast to the previous X games, which all built up on the same framework, this installment is a new development. 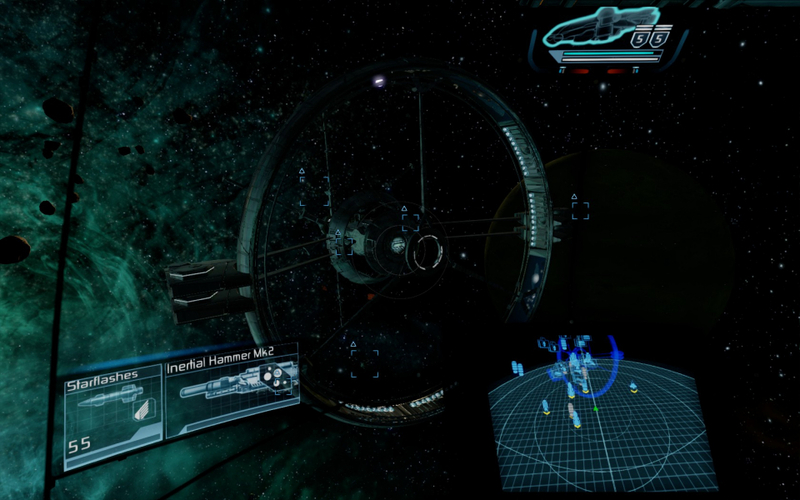 The four most important changes to the concept are the condensed playing areas (there are four solar systems which are unlocked during the campaign and are overall much smaller than in the previous games, but are more thematically distinctive), the constraint to one ship, how space stations are incorporated and the different control design (while previous games relied on a keyboard shortcuts, X: Rebirth is suitable for gamepads and uses menus and sub-menus to reach functions). 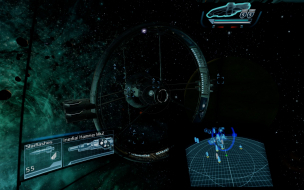 Besides following the campaign, the player has various options to spend time; the most important being space combat and trading. While the first is relatively straight-forward and action-based (the player either takes on missions offered on space stations or becomes a space pirate), trading requires more work. Small-scale trading can be done the traditional way (buying at one station and selling at another for a profit), but an ambitious trader needs to buy more ships and hire AI personnel to do the job or eventually even build new stations to form an empire. Many tasks, including purchasing ship upgrades, requires visiting a space station. Here the player leaves the ship, walks around the station and talks to people (entering a conversion mini game which gives benefits like a discount or hint). Other occupations are mining on asteroids or scanning the environment for treasure. 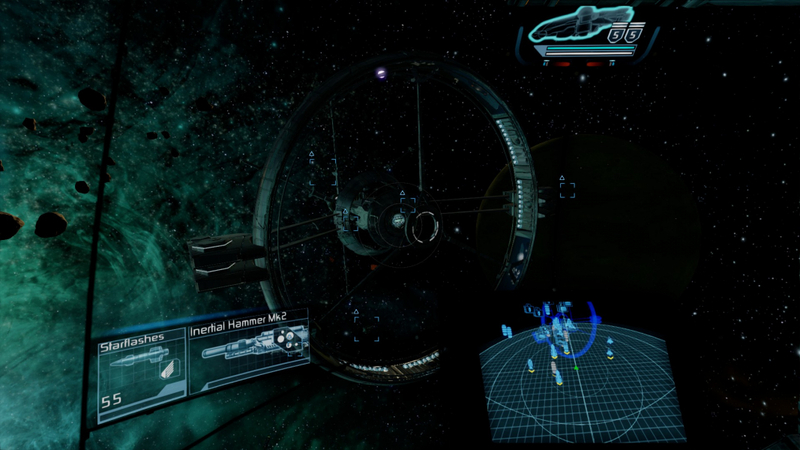 Later patches made various significant changes to the gameplay. 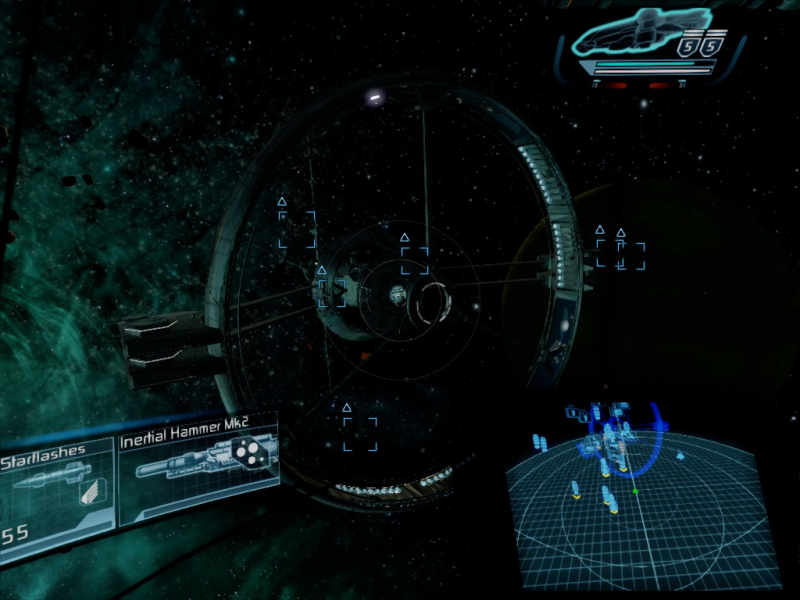 While physical visits to the stations were mandatory for most tasks, a patch allows to conduct most business from the cockpit while being docked at a station. They also removed the mini game (changing lanes for using other ships' slipstream) when using energy tunnels for quick travel and added starting careers in the free playing mode. Menus and interactive information are on the far monitors. No current known fix. Illustrating issues with menus while docked. 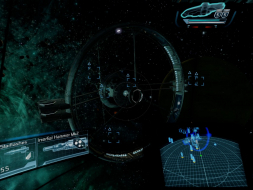 Illustrating issues with menus at cockpit.